Heading to Salt Lake City this weekend for the Utah State Feis or Manheim for the Celtic Fling Feis? Or maybe you’re off to Ohio for the Dayton Area Feis or Minnesota for the Twin Cities Feis. New Jersey for the Peter Smith Feis or Connecticut for the New Haven Feis? Or perhaps you’re gearing up for Nova Scotia’s Fundy Feis. 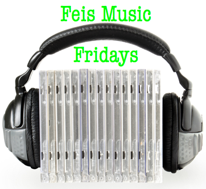 No matter your competitive destination this weekend, we want to share four tunes you should add to your own playlist before lacing up and taking the stage, preparing for the upcoming 2012 North American Irish Dance Championships in Chicago. Best of luck to all competitors and be sure to come back and share your results with us! The perfect light tune to play during a nice, sunny drive to that summer feis. Stretch to this and you’ll be set. A great upbeat song to blast before dancing for a crowd. Play this on the way home from competition, dreaming happy thoughts about nationals.